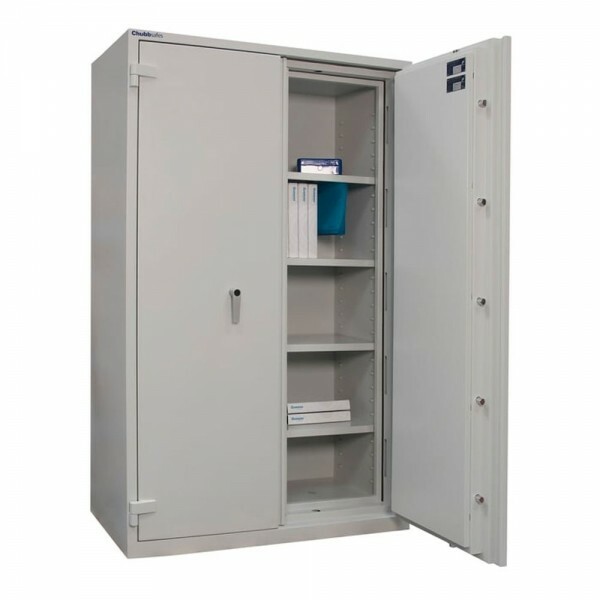 The Chubbsafes Duplex double door cabinet 775 provides combined fire and burglary resistance for documents in your office place. It is certified by ECBS according to EN 15659, Level LFS 60 P to offer 60 minutes protection of paper documents in the case of a fire. Furthermore, it is certified by ECBS according to EN 14450, Grade S2 thereby offering a security rating for cash of £4,000. 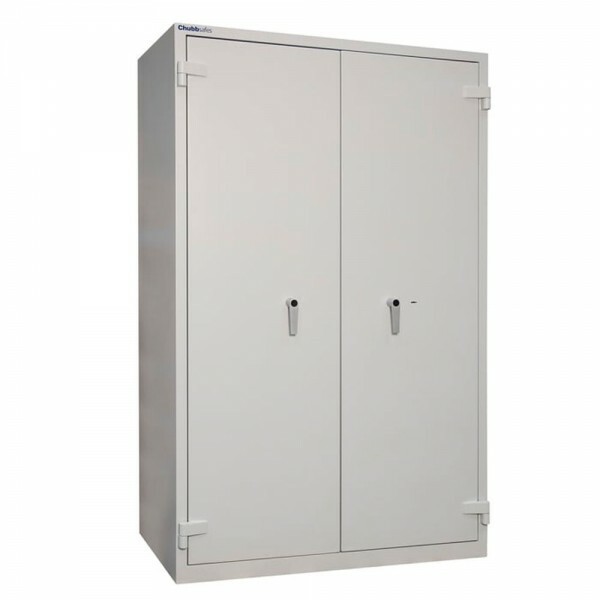 It is fitted with a Class A EN 1300-certified key lock, supplied with 2 keys. Anchoring points at the base of the cabinet ensure that it is secured onto the floor. The Chubbsafes Duplex double door cabinet 775 is supplied with 4 shelves and also incorporates an internal racking system for flexible position of additional fittings.